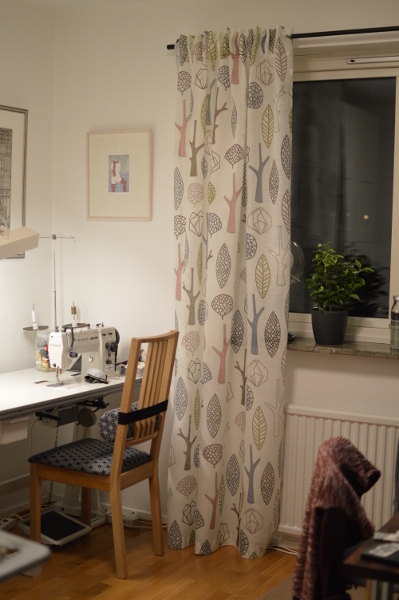 Over the years, I’ve tried a number of different hanging mechanisms for the curtains I’ve made. For example, the simplest solution was one long tunnel for the curtain rod. It does the job but the top of the curtains tend to get all wrinkled and the “fall” of the fabric isn’t very pretty. I’ve also tried one of those ready-made bands that you just put some hooks in, and then all of a sudden the top of the curtain is pleated. It’s quick and easy and looks good. However, I’ve come to like the back-tab style of curtains very much. The last couple of times I’ve had to re-invent the pattern. I decided to put an end to that nonsense and make a pattern once and for all! Pattern for the back-tabs/straps. 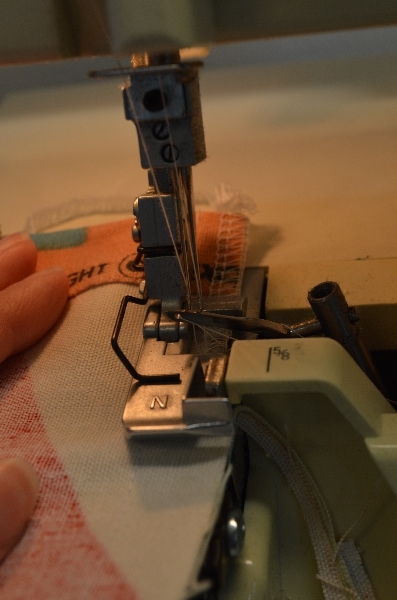 The numbers (1,2,3) indicate in which order the seams should be sewn. 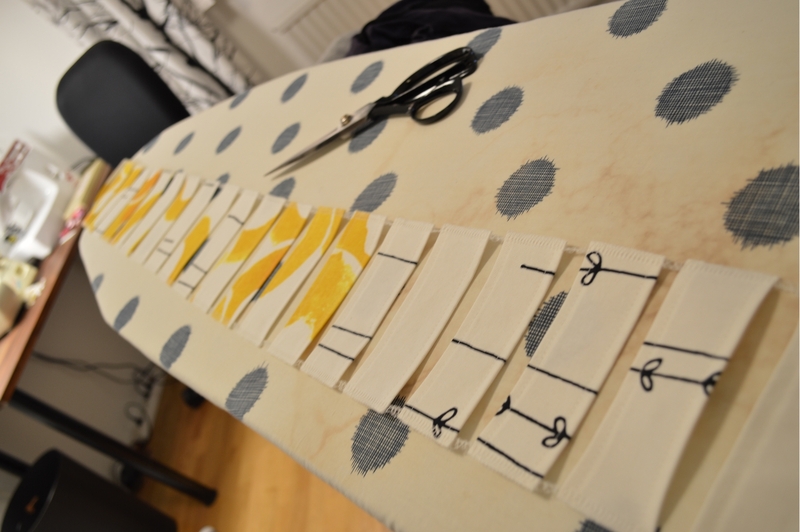 First cut out as many long strips with a width of 6cm as you need to make the tabs. 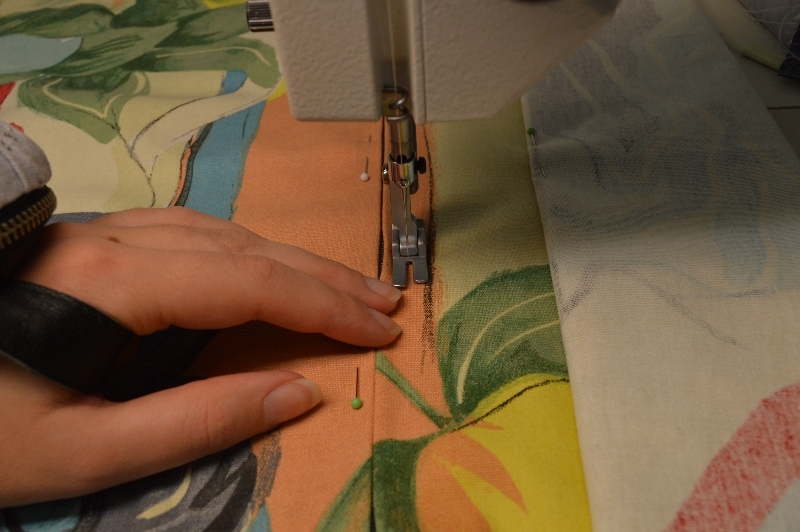 The width of my fabric was 150cm and I needed to cut out 3 strips that were 6x150cm. Also cut the fabric in two so that you get two curtains. Next, hem all four length sides of the curtains with a 1,5cm hem. Also serge top and bottom. Now it’s time to make the tabs. If you have a serger, serge the long sides of the 3 strips. Make two cardboard/paper patterns for the tabs. The first one should be 6x12cm and the second one 5x12cm. Use the first pattern to cut tabs from the long strips. Serge the two short sides of each tab. Don’t forget to chain sew the tabs (don’t cut the thread after one is finished, just continue with another). Now use the second pattern to quickly and easily press a 1cm seam allowance on both sides of the tabs. Chain sew the seam marked (1) in the pattern picture above ~0.5cm from the edge. Next I attached the tabs to the curtains. 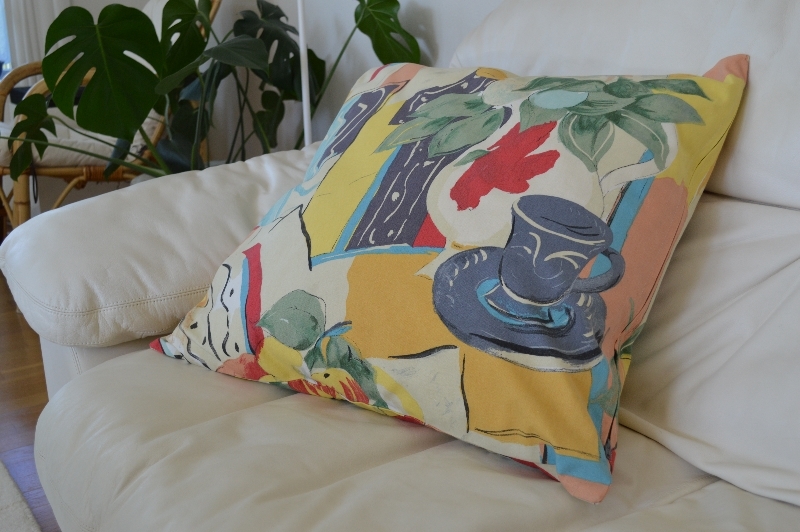 Fold down the top of the curtains 14cm and press with an iron. 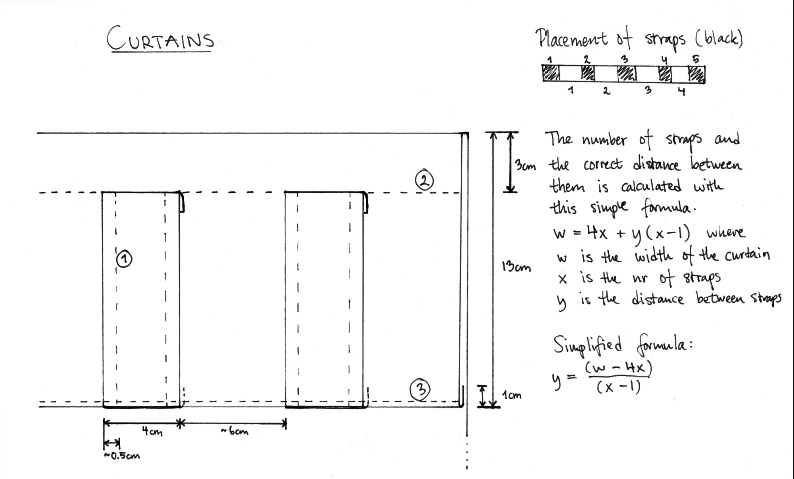 Using the formula above, calculate the number of tabs/straps and the spaces in between them. (143-4*14)/(14-1) = 6.7cm => 14 tabs and 6.7cm in between. 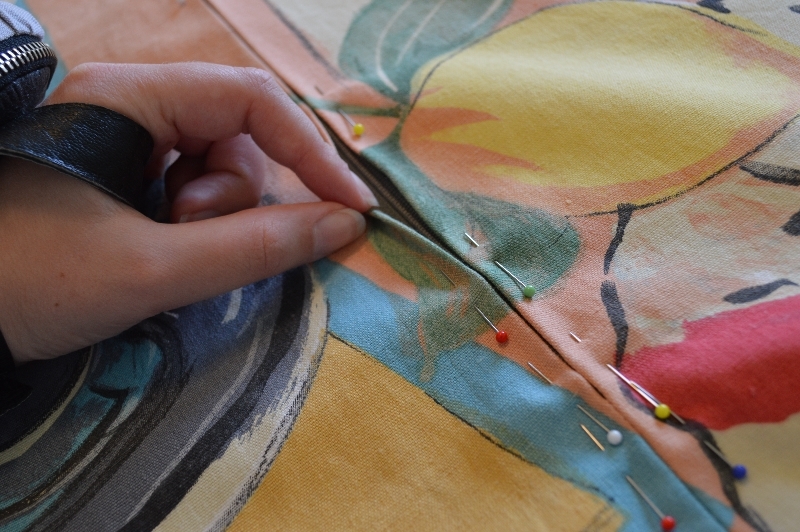 Pin the tabs with the short side 4cm from the top edge and sew 3cm from the top edge (seam marked with (2)). Fold the tabs down and pin them down. 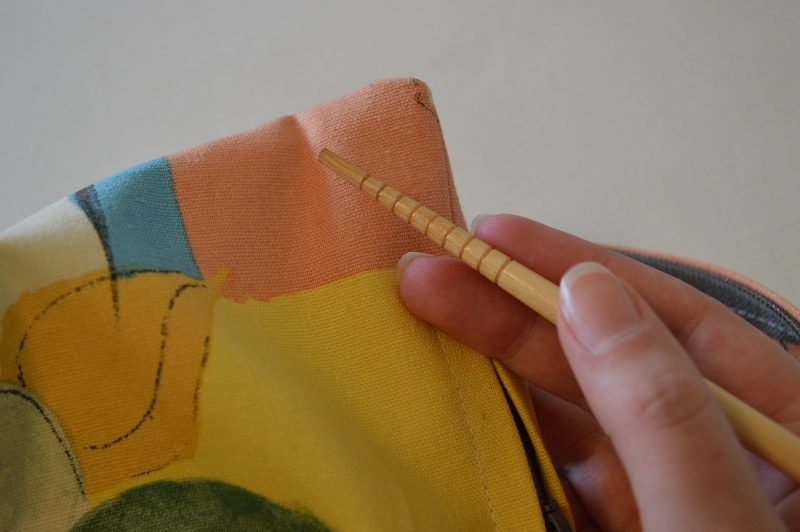 I like to baste stitch them before folding over 1cm of the edge. Sew the last seam marked (3). 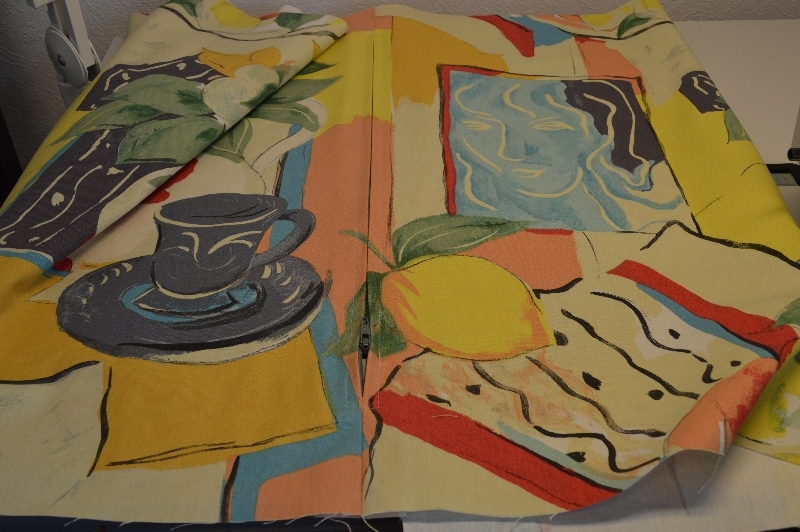 Last step would be to try them on the curtain rod and finish the bottom hem. Aaaand you’re done! Categories: How-To, Misc | Tags: curtains, sewing | Permalink.